The term recruitment has been a part of every nation or to be specific every individual since ancient times. With the evolution of humankind, the process of recruitment has been a part of our lives. 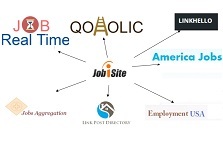 When it comes to gain knowledge about the process of recruitment, the first and foremost task that one has to know about is the definition of recruitment to be simple, the term recruitment May be defined a process for a hiring or identifying among the best qualified faces to perform certain jobs for the hirer (or employer) and to get paid instead of their performance. The term that co-relates the recruitment is Employment. These two terms go hand in hand, as they mean almost similar. Employment defines the status of the people being recruited in some or the other organizations. Like if it is said that a country’s employment status is 80%, it means that out of every 100 people of the country’s population 80 peoples are being recruited in some or the other organization based in the concerned country. Casual or contingent recruitment: – This type is a form of temporary recruitment where the employee is paid based on the piece of work performed by them. Full time recruitment: – When recruited under this type, the employee has to work for 8 hours at least and have to follow all the regulations of the concern they are working under. Part time recruitment: – This type of recruitment enables a few hours of job to be performed by the employee recruited under this category.